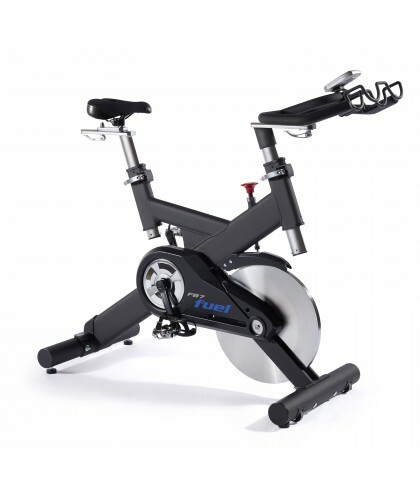 The Fuel Fitness FB7 takes users to the next level of exercising and is satisfactory to both the Indoor and outdoor cyclist. 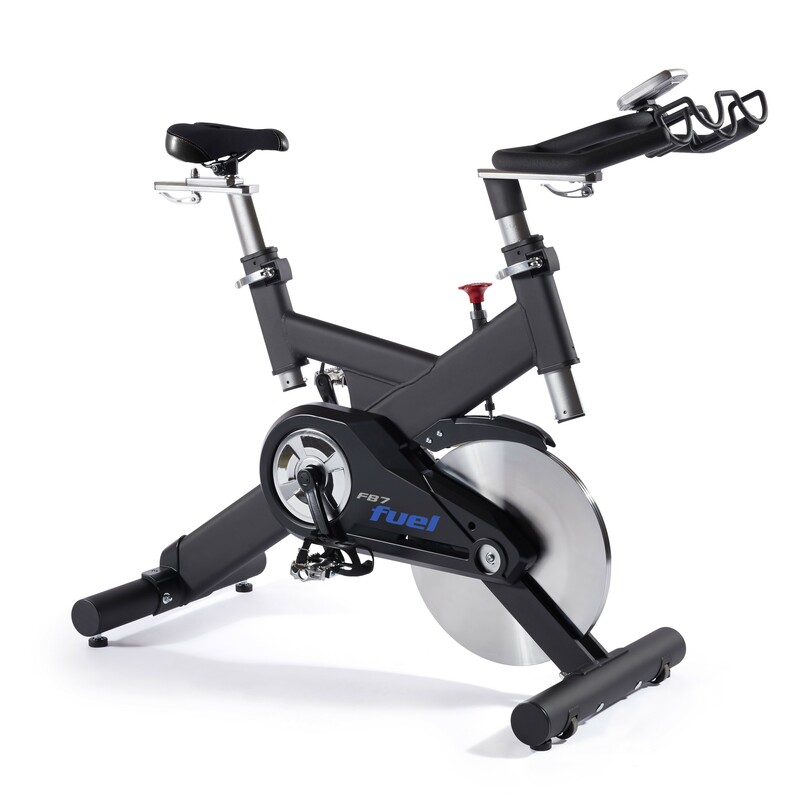 Understanding the needs of both types of users, Fuel Fitness combined them together to design a comfortable, affordable bike allowing users to have the dual experience in the comfort of their own home or Light Commercial setting. Regardless of whether you prefer the road bike or are an indoor cycle enthusiast, comfort is extremely important. 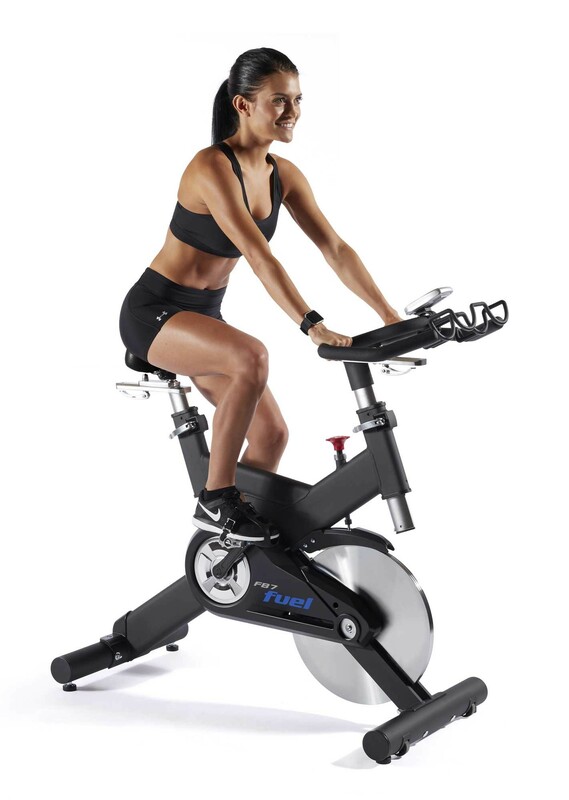 The adjustable seat and handlebars move up and down as well as fore and aft, allowing a user to find just the right settings for a great workout. A heavy duty 48 lb chrome plated flywheel and Kevlar braking design will make certain of a quiet and smooth ride. Pad Resistance - Our whisper quiet resistance gives users a smooth transition in between resistance levels, all while maintaining an extremely quiet workout. Allowing users to worry less about fitness equipment noise, and focusing more on reaching fitness goals. Frame - A strong durable frame is vital for Light Commercial bikes. Heavy Steel tubing along with aluminum shroud makes the Fuel bikes indestructible but light and manageable. Two wheels upfront act as touch points and make moving the bikes easy and convenient.